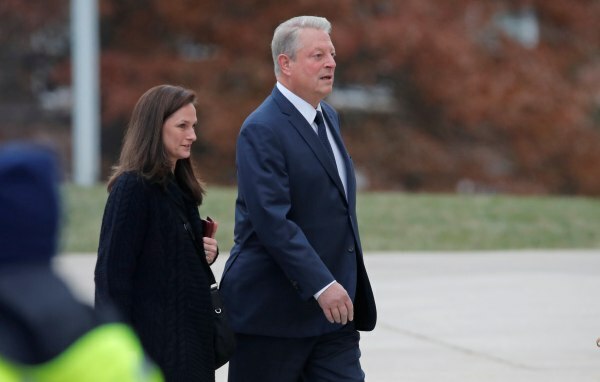 Former Vice President Al Gore, former New York Gov. George Pataki, political adviser to George W. Bush Karl Rove, former Homeland Security Secretary Tom Ridge, Rep. John Lewis, D-Ga., Rep. Jim Cooper, D-Tenn., Rep. John Culberson, R-Texas, who represents Bush's old House district but just lost in the midterms, Rep. Mark Meadows, R-N.C., and many other lawmakers have arrived at the National Cathedral ahead the funeral service. The service is scheduled to begin at 11 a.m. ET.